Legendary basketball coach Red Auerbach saw players for what they brought to his team, regardless of race. But that's not always how others saw it. In 1950, Auerbach drafted the first African American into the NBA. His Boston Celtics became the first team with an all-black starting five. Yet as GM of the Celtics in the 1980s, he was also accused of having a team that was "too white." Auerbach never let what others thought persuade his pursuit of success and victory. These unique, sports-themed checks feature four quotations from a coach whose winning words are still inspiring. 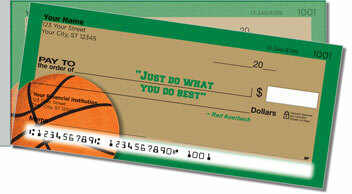 The convenient side-tear format will make it much easier for you to remove checks from the pad. 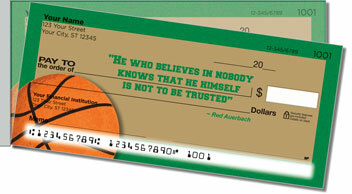 Get your very own Red Auerbach Side Tear Checks today! Order them with matching mailing labels. 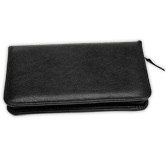 Plus, get free shipping!